1. If you didn't please first take a look at the discounts. 2. Choose your preferred way of payment and delivery. And we will you price calculation with all the needed details including how to pay. On most of programs that you order and download we give a discount of 20% comparing to the CD/DVD price. You can always first try to download if you have any doubts about the process. First we need to make sure that you have enough Internet speed to download this. You can measure your download speed here: http://www.speedtest.net. Let us know the result. Also you can try to download an example ISO file. First see the how to download video ->. Then open the example LINK-> with your browser. Unpack password is: 123456. You will tell us if this good way of delivery for you, if yes you will arrange the payment and we will send you the links for the software you ordered, if not, you can think about other ways of delivery. You can start installing the software you ordered without need to burn any CD or DVD. - Save money - 20% discount (this discount exclude most of items in Diagnostic software group). - Fast and instant download. - You computers skills are weak so you can lose some time to learn how to do it. Delivery time is expected to be 5-15 days for Europe, North America, Australia and Japan. For the rest of the world delivery time is about 2 - 3 weeks. Please note that we cannot send via air mail to Africa or to some small islands countries as discs can be damaged or will arrive in 2-3 months or never. Shipment price is 2 euros for every envelope which contains 1 or 2 discs. for 11 discs, the price is 11/2 = 5.5 = 6 envelopes - 12 euros. For big orders or for express delivery we recommend DHL. Delivery time is 2-4 working days worldwide. Price for shipping till 0.5 kg (23 discs) is usually from 55-65 euros for Europe or North America all up to 70-95 euros for Africa, South America or Australia. 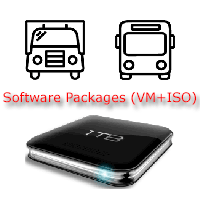 You can order all software on USB HDD or on USB flash drive. This is good for those who order software that is big in size (Like Caterpillar SIS, Volvo Impact...) or if the order is on more than 23 discs (more than 0.5 kg) so that the DHL price will be higher. - Save money - 20% discount (please note that this discount exclude most of items in Diagnostic software group). - Installation time is much faster. USB speed is much faster than the DVD speed. - You can quickly make a backup of all programs to another drive, comparing to much more time needed to burn DVDs for backup. - USB HDD of 1 TB is 50 EURO; USB Flash of 64 GB is 12 EURO and USB Flash of 128 GB is 23 EURO. - Shipping via DHL as we cannot send HDD via standard air mail. For details how to send payment for each way, please contact us first! Fastest and cheapest way by our opinion is PayPal. You can pay via PayPal, www.paypal.com. You need to sign up for PayPal first if you don't have an account. When you sign up for PayPal, you link it to your bank account, debit card, or credit card so that your payments can be funded. You can pay via Skrill (former Moneybookers), www.skrill.com. You need to register first if you don't have an account there. When you register, and verify an account, you need to upload money to your own account and then you are ready to make a payment. We accept International bank transfer (via SFIFT and IBAN) for minimum amount of 50 euros. You need to accept all money sending charges when making a transfer. We can accept payment in following currencies: EUR, USD, GBP, CHF, NOK. For EUR payments, you can pay to our bank in the EU country! Since the prices are in EUR, we will tell you the amount in your wanted currency since exchange rate changes daily. We accept western union for minimum amount of 50 euros. Just go to Western Union agent and send a cash, and in USA, you can also use western union site to make online payment with your card. Dear customers, you are welcomed to use the following contact information for ordering, questions or to get support. Please use only English language. If you are expecting our email and you don’t receive it, check your SPAM or JUNK folder to make sure it is not there.